So S4B is all about the healthy balance. Especially during the holidays. I want my mashed potatoes made with butter the same way my mom made them when I was a kid. I want real gravy on my turkey. But I also like to have healthier options to balance out my plate. 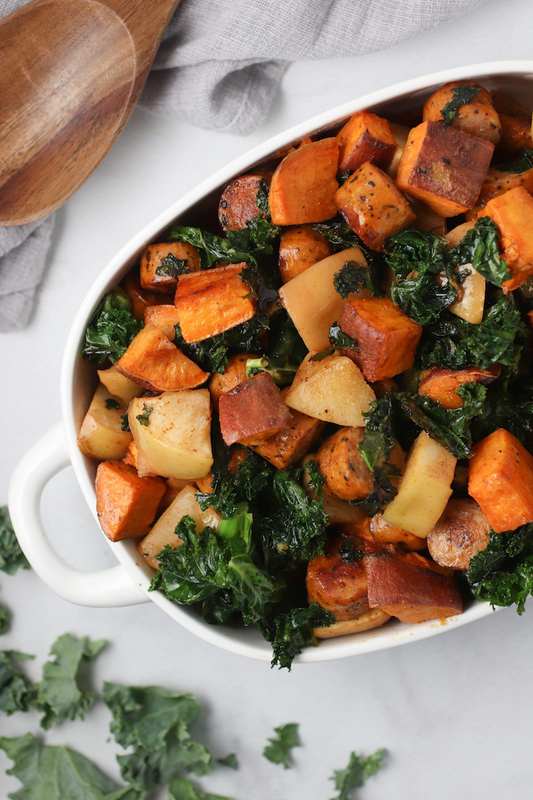 This Roasted Sweet Potato, Sausage & Apple Bake is the perfect combo of a healthy comfort side dish. 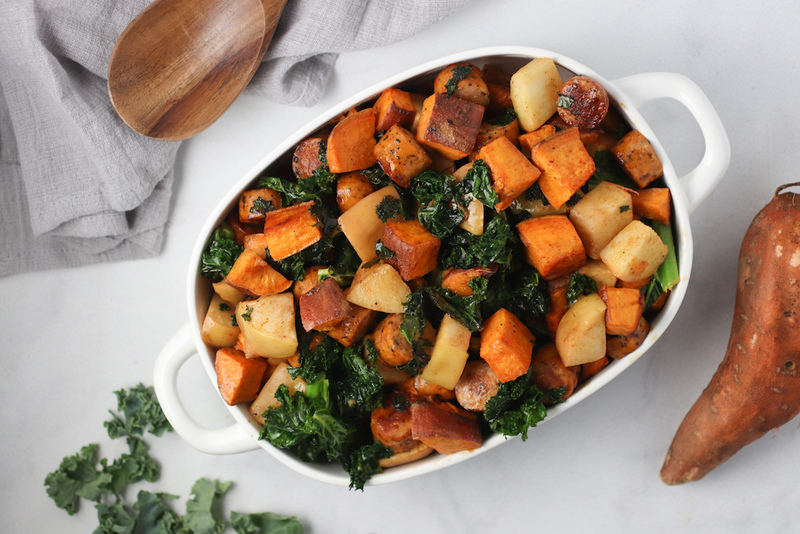 I used organic chicken sausage in this dish, but you can also omit for a vegetarian option! in a medium skillet add a tiny bit of olive oil over medium heat. 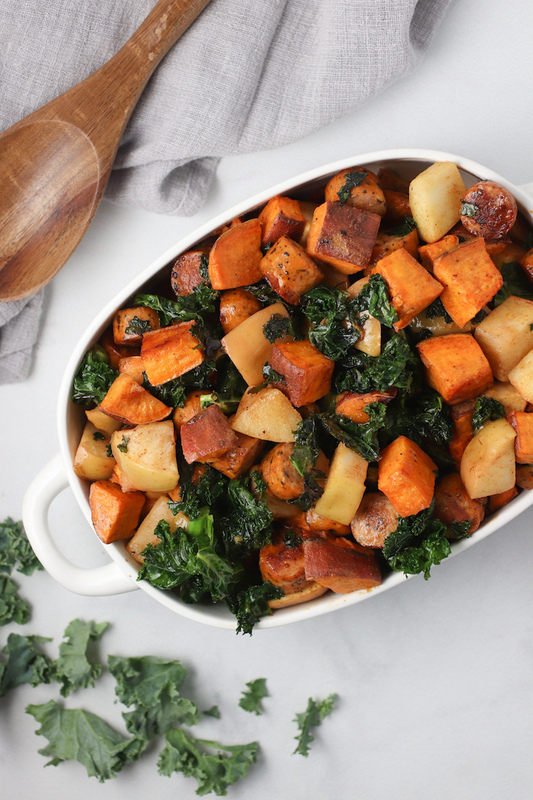 Mix the sweet potato, apple, chicken sausage and kale into a bowl. whisk together the dressing ingredients (dijon, olive oil, apple cider vinegar, lemon juice, a dash of sea salt and pepper) and pour over the top. 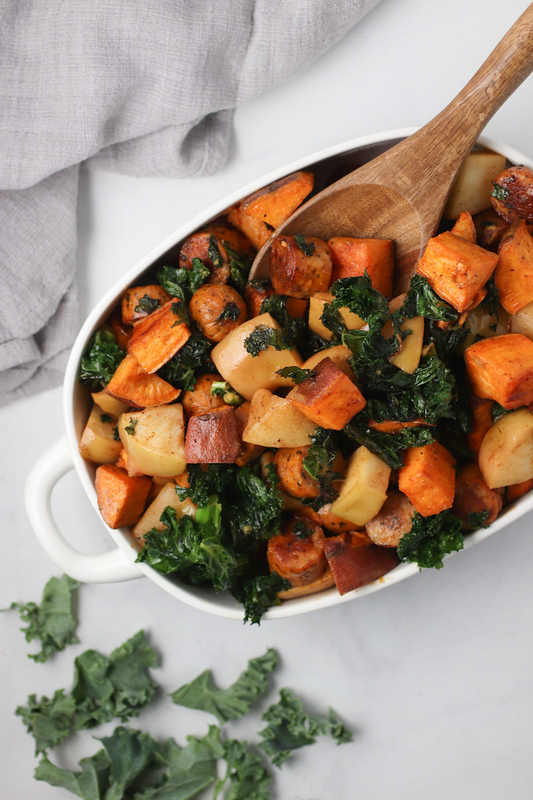 I love this recipe so much that I’ve cooked it twice in the span of a month! The first time, I followed the recipe and the second time i added BRUSSEL sprouts. i don’t recommend the brussel sprout addition. they detracted from the flavor and did not hold up well in the sauce. this recipe is easy and healthy. it gets two thumbs up from my family! Aw thank you Leigh Ann!! So glad you liked it! What type of apple do you prefer in this???? Honey crisp, pink lady, gala or your favorite crisp apple!